This project is dedicated to reclaiming prosthetic care for amputee's that live in rural communities within developing countries. Amputees in these communities often cannot afford professional prosthetic care or live too far away from existing services. While new technologies and services are currently being integrated into prosthetic services in developing countries, these developments often don't reach those most in need, with up to 95% of amputees going without access to care. Compounding this problem, devices produced with advanced technologies such as 3D printing are often difficult to repair and not always suited to rural environments. Faced with these limitations, amputees find innovative D.I.Y. responses which are tailored to local materials and traditional practices. The aim for this project is to evaluate the technologies, materials and processes currently accessible in specific locations within Africa (Sudan, South Sudan and Cameroon), India (West Bengaland Jharkhand) and Cambodia (Ratanakiri and Battambang) and use this information to develop D.I.Y. 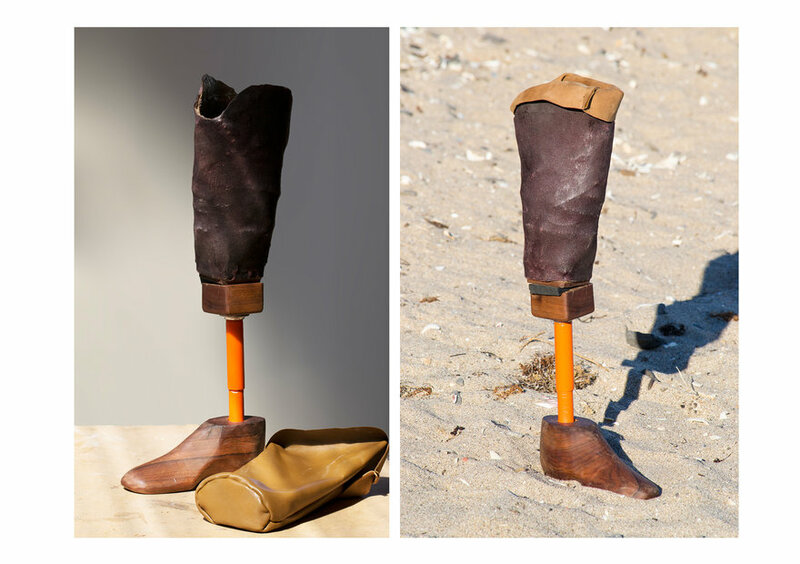 prosthetic designs that are informed by current medical 'best practice'. 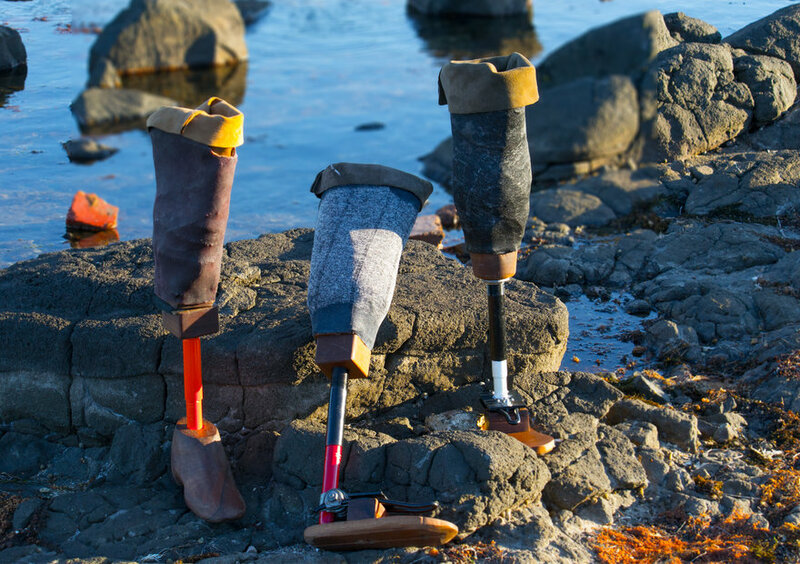 The resulting designs seek to give amputees independence and control over the construction of their own prosthetics, without dependence on health care practitioners and NGO organisations for ongoing prosthetic care. The project uses visual ethnography to gain an in-depth understanding of practices of re-purposing, repairing and crafting within these rural communities and builds on this understanding through extensive prototyping. Project outcomes include the design of a new D.I.Y. lower-limb prosthetic and an associated D.I.Y manual that proposes an alternative process for providing best practice prosthetic care to rural communities within Africa, India and Cambodia. Desiree Riny Final Design Outcome Each D.I.Y prosthetic has several key features that differentiate from each other. Each prosthetic provides alternative levels of prosthetic practices, which are adaptable and appropriate for the implementation within various communities such as Africa , Cambodia, and India. .
Desiree Riny Design Process Throughout the design process of the final design outcome, i was able to co-design with various expert within the field of prosthetics to develop a design that could provide ' the best practice ' of prosthetic care within developing countries through a D.I.Y solution. Desiree Riny D.I.Y Prosthetic 1 Requires a very basic level of skills and materials to craft, without sacrificing various levels of comfort and basic requirement for adjustability. 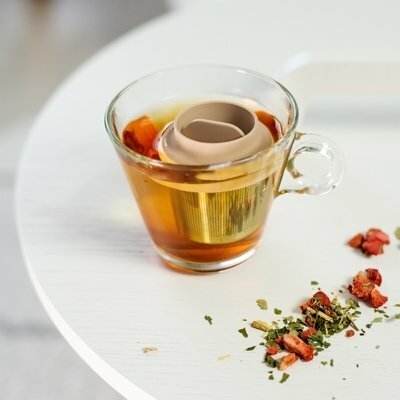 It has two levels of adjustment the first is height adjustment that is integrated with the pylon and furthermore pivotal rotation of fewer than 16 degrees within the foot joinery. It provides a high level of stability and a basic level of mobility. Desiree Riny D.I.Y Prosthetic 2 The second D.I.Y prosthetic builds onto existing practices of the first D.I.Y prosthetic, however the foot joinery comprises three level of adjustments that provide over 30 degrees in movement .It also builds from a basic level of skill required to fabricate the foot joinery but remains beneficial to provide two more degrees of movement within the (x & y-axis). Desiree Riny Final Design Outcome The third prosthetic also uses similar practices and craftsmanship as the second prosthetic, however, it comprises of completely new adjustable process through the foot joinery, using ballpoint and bike seat rail that allows for a dynamic range of motion . 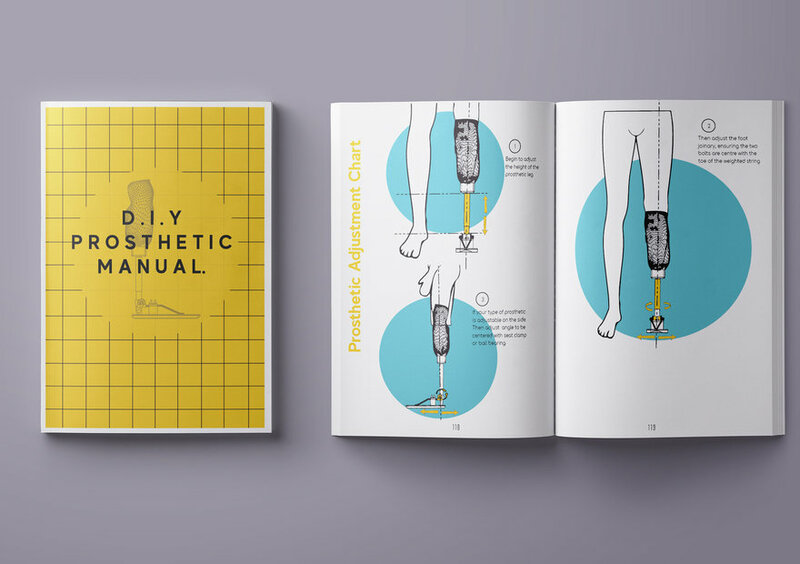 Desiree Riny D.I.Y Prosthetic Design Manual The D.I.Y design manual is a manifestation of illustrations of prosthetic practices and process to fabricate all three prosthetic outcomes. 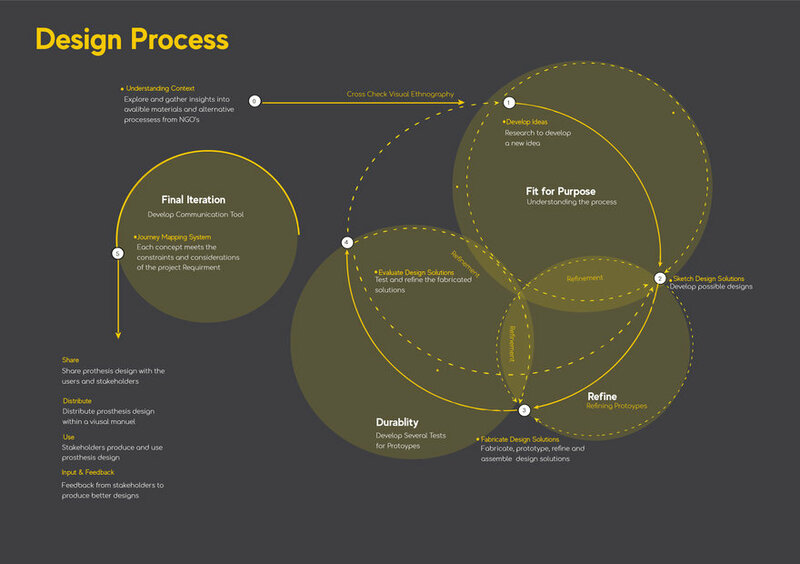 Its design language is comprised of visual illustrations and small descriptive steps which help guide an amputee through the beginning process of fabrication to end process of alignment . 'Reclaiming accessibility to lower-limb prosthetics within rural communities, in developing countries' was a final year thesis project completed at the Royal Melbourne Institute of Technology. It was a project that was completed in response to help re-evaluate the way in which amputees in developing countries can gain access or receive prosthetic care and devices. Current studies reveal as the population within developing countries increase, the demand for prosthetics is not being met. This is due to various physical and economic challenges faced by amputees. Despite this currently there has been several organisations such as (WHO), (ISPO) and (TATCOT) that have worked in conjunction with governmental services to provide research aid, training, equipment, finance, and facilities to tackle the increasing demand to gain accessibility to prosthetics. However, the ongoing support to provide accessibility and care for amputees, only 5% out of the estimated 40 million amputee population within developing countries are gaining access (Greenberg, Mehta & Ritter, 2015). This reveals the current infrastructure that provides accessibility to prosthetic care and devices needs to be reevaluated. Too often mobility is a task that is overlooked by the average able-bodied person. However, for people in developing countries who suffer from amputation, it can make daily life difficult. Amputees who are affected by war or low-income can struggle not only with their own physical constraints, but also struggle with the access to proper health infrastructure to support them. Especially within rural communities in Africa, India and Cambodia, basic healthcare services are limited due to restricted funding and resources puts these people at an increased risk of disease. This has caused amputee to overcome this problem through their own D.I.Y prosthetic solution, as they try to become both the patient and doctor. 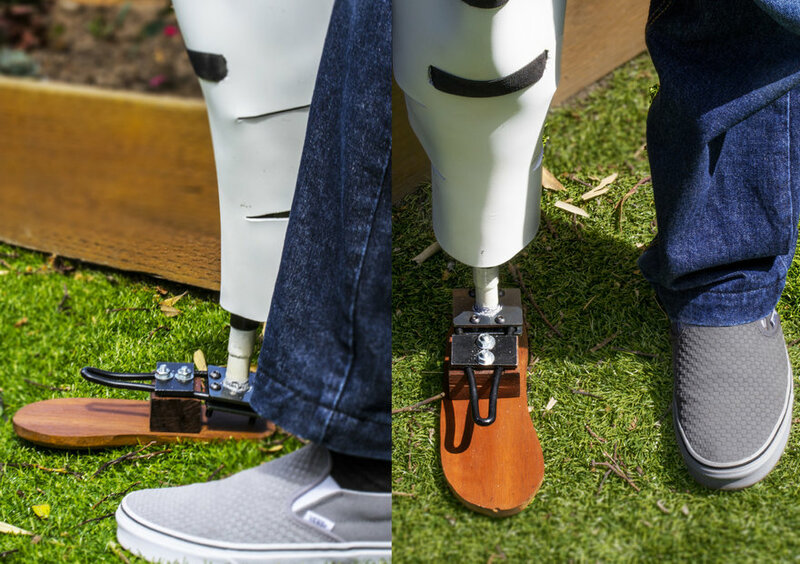 Simply through the materials and technologies available to them, amputees have found an innovative solution to improve their way life – provided that the D.I.Y prosthetic that is formed uses appropriate processes and practices . As inappropriately fitted prosthetic can increase chances of osteoarthritis and exacerbated more problems associated with residual limb. Considering these circumstances, could providing D.I.Y solution with supporting education about the right processes and practices- informing amputees directly about how they can repurpose, repair or recycle the materials and technologies accessible to amputees, reduce the ongoing economic challenges that low- middle-income amputees face? D. Cummings author of the academic paper (Prosthetics in the developing world: a review of the literature Prosthetics And Orthotics International) mentions a solution to accessibility is education towards the use of existing materials and more independence on amputees to adjust their prosthetics (Cummings, 1996). He mentions because of staff shortages, large patient numbers, lack of components, and immense practical and financial challenges, prosthetists in developing countries must be very creative. 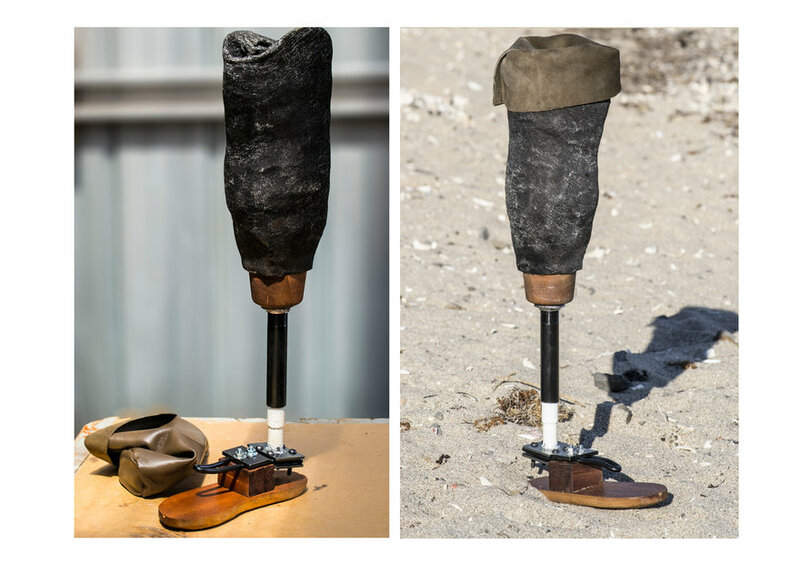 As current prosthetic designs have common problem with failing to address affordability, the constant need for repair and replacement. Cummings believes through "improved educational opportunities, widespread availability of locally-made components and ongoing improvement of facility management techniques and basic prosthetic orthotic skills" (Cummings, 1996) could provide a solution to accessibility. The final design outcome encompasses three different iterations of a D.I.Y prosthetic that use different levels of alternative processes and practices of prosthetic care.Which has also been illustrated through a D.I.Y design manual. Each D.I.Y iteration provides the features of an adjustable design that is repairable with existing handcrafted tools, without the help of complex manufacturing and technology processes which allows for a versatile design that is adaptable to be implemented in varying communities that do not have access to lower-limb prosthetics. The final design outcome uses an alternative customizable element to ensure that the end user that has access to the final D.I.Y manual , has access to a range of appropriate process and practices of prosthetic care that has been integrating into three appropriate designs, that can be tailor to individual needs and comfort. These customizable features include an adjustable socket joinery to reduce hip pain, adjustable foot mechanism that induces alignment, reduce discomfort within mobility, adjustment within height requirement that apply to both young adults and adults, customizable prosthetic cover that can enhance the user end appearance and lastly processes to increase levels of comfort through integrated soft liner. Recognizing that not all amputees within rural communities have the same level of accessibility to lower-limb prosthetics, the final design outcomes are fabricated with varying alternative materials and crafted practices to ultimately ensure that the design can also be cost-effective and adaptable. The final ergonomic features of the socket and foot joinery has addressed the need for reliability and constant repair. This is a crucial consideration for a product that will be subjected to harsh and dry conditions–which can affect the longevity and functionality of this crucial component. Through the consideration to use existing bike components that have pre-existing considerations to hold many forces, has allowed the final design to feasibly withstand high-risk conditions. An amputee's assertive prosthetic should never cause hindrance through everyday life, hence final design acknowledges these difficulties through applying adjustable features that can help alleviate ongoing need within mobility. Each iterative design has been integrated with an added level of adjustability of add least a standard 16 degree - 30 degrees of adjustability – this can enhance the movement and mobility within the prosthetic leg as design can provide for a smoother gait cycle whilst walking or during recreational activities. Considering a lot of financial stability to increase the prosthetic system of care to give more access to lower limb prosthetic heavily rely on funding from developed countries and major corporations. Minimising the cost can increase access. To which the final design outcome acknowledges through paperback design manual that can be easily printed and distributed through NGO'S and small local business. By distributing the research through standard A4 double spread paperback booklet, allows for a non-invasive medical tool that can create impact through very little funding and minimal supporting infrastructure. 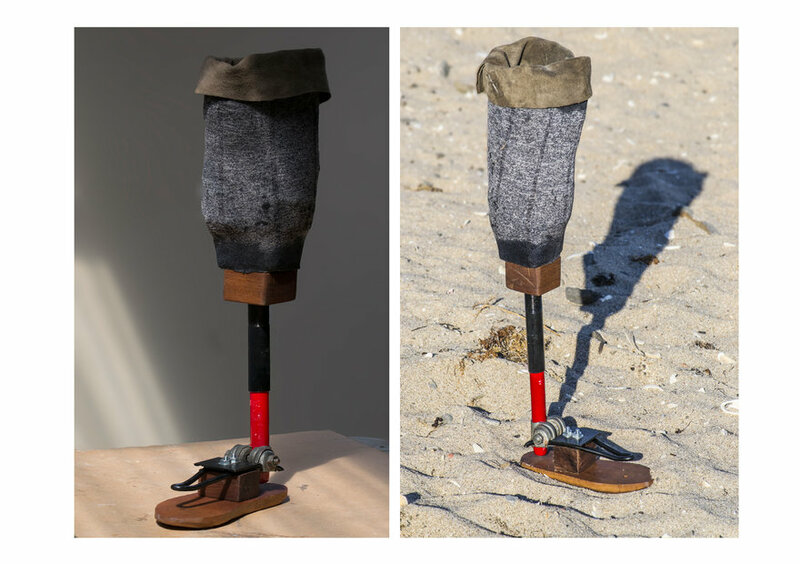 Each prosthetic socket is also made from high tensile fibers that readily available from everyday objects . The first layer of each socket composes of a layer of hemp fibre composite taken from rice sacks, that has been reinforced with resin and infused with synthetic fibre with pattern material that comes from reused clothing . Despite the use of the same material in each type of prosthetic, the process to construct each socket is not limited to just hemp fibre, as the process it follows can be constructed to be adaptable to use alternative fibers such as cotton or alternative material all together such as plaster. The pylon, foot and socket joinery are also made from commonly available materials such as bicycle parts, wood, scrap metal and bolts.